Motueka Pickets is one of the home improvement product brands of MLC Group. MLC Group has been in the timber industry since 1993 with a product range that is one of the broadest in the industry. 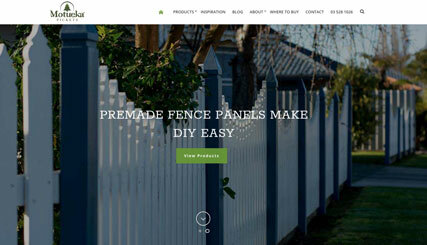 The website is powered by WordPress CMS, allowing the team to update the website as required, and showcases their vast range of fence pickets and panels and picket gates. An initial digital marketing campaign was established to help promote the brand online.